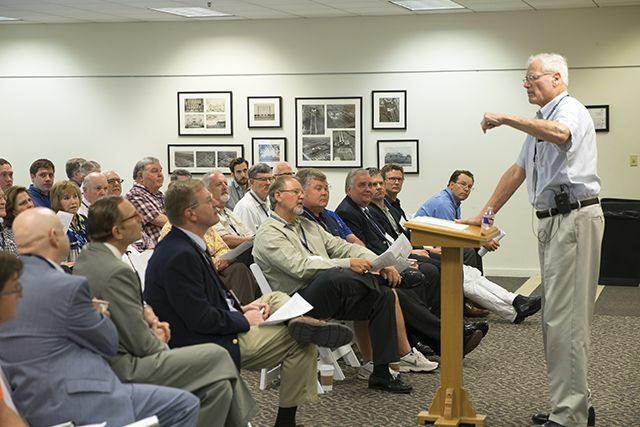 Alumni Weekend 2016 brought together Marksmen from more than six decades as they returned to campus to reconnect with one another, their former teachers, and their alma mater. 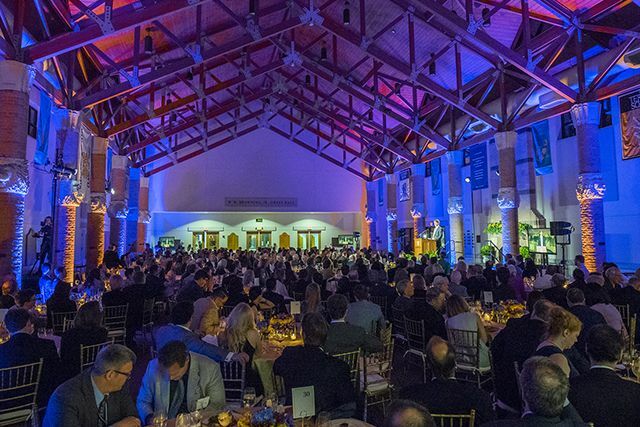 More than 1,100 alumni and guests attended the weekend’s festivities from April 14–16, including the golf tournament, alumni classes, Spring Alumni Dinner, the family cookout, and class reunions. On Thursday, April 14, alumni, faculty, trustees, and friends began the weekend at the annual Alumni Golf Tournament. Nearly 100 golfers enjoyed a day on the links, followed by an awards reception at Brookhaven Country Club. On Friday, hundreds of alumni and guests joined students on campus for a day of classes. Alumni attended special lessons taught by Tom Adams, Master Teacher Emeritus; John Mead, Eugene McDermott Master Teaching Chair in Science; and Dr. John Perryman, Director of the Leadership & Ethics Program. 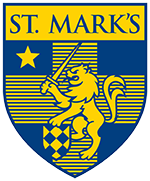 Alumni Chapel homilist Trustee, David Sammons ’76, reflected on the impact St. Mark’s has had on his life. 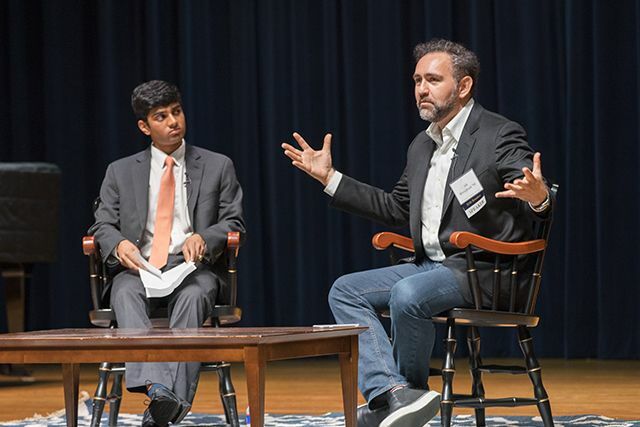 Wrapping up the day, alumni and students had the opportunity to hear from Ali Rowghani ’91, Managing Partner at Y Combinator and former Twitter and Pixar CFO; and Ned Price ’01, Spokesperson and Senior Director for Strategic Communications for the National Security Council. “St. Mark’s is, without a doubt, the most important thing I ever did in my life, in terms of preparing me for my future,” Ali told Upper School students. 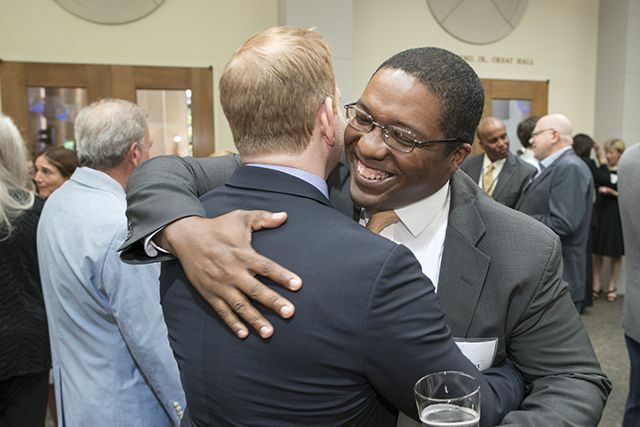 Friday evening was a night of recognition for several special faculty and alumni, as more than 350 alumni and guests gathered in the W. W. Browning, Jr., Great Hall for the 20th annual Spring Alumni Dinner. Retiring faculty members Bill Kysor, Barbara York, and Lei Zhang were honored for their combined 78 years of service to the School. First-grade teacher Teri Broom eloquently spoke on behalf of the faculty and staff, sharing her perspective on the St. Mark’s experience through her lens as the wife of Christopher ’87, the mother of Kent ’16 and Blake ’21, and the teacher of young Marksmen. Casey Gendason, Doug Rummel, and Lei Zhang were announced as the finalists for the Ralph B. Rogers Alumni Award. In recognition of their dedication to the School, the Alumni Board chose Beau Harbour ’01 as this year’s Young Alumni Service Citation recipient and Jeff Hillier ’76 as this year’s Alumni Service Medal recipient. Alumni Weekend continued on Saturday morning with the Family Cookout. Hundreds of Marksmen and their families enjoyed lunch and fun on the Perot Quadrangle and listened to the sounds of St. Mark’s Blues Club band. The science lecture hall and planetarium were packed with guests attending science shows by Ken Owens ’89 and Steve Balog, Cecil H. and Ida Green Master Teaching Chair in Science. That night, members of the ten classes gathered to celebrate their reunions, as well as the parents of the Classes of 2011 and 2006.